How to download / buy iPad Apps that are unavailable outside the U.S.
That was a big buzzkill yesterday at first: After I unwrapped the iPad and did the first few touches on its beautiful glistening screen, I had to realize that in my country the App Store for the iPad is unavailable until the official launch (whenever that will be…). 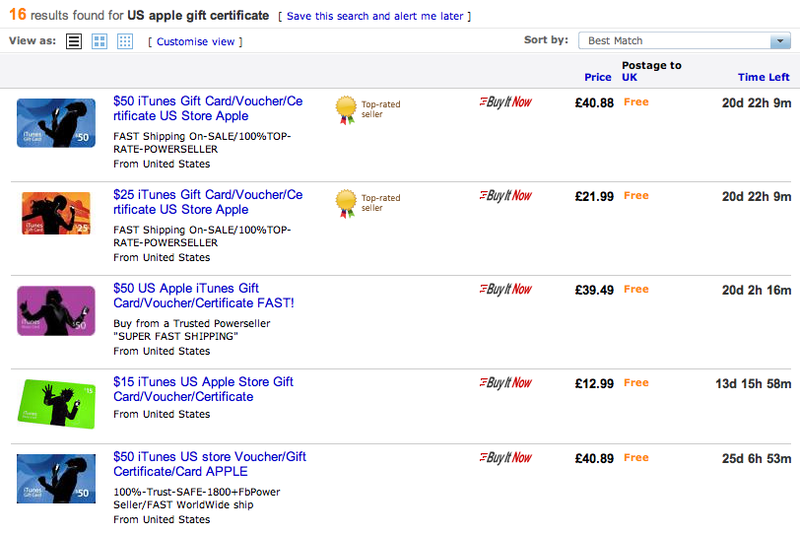 A solution was quickly found, with a $ gift card or certificate you can open an account in the US-Apple Store. I just opened another account on an address of a relative in the US. For everyone who isn’t lucky enough to have a relative or friend in the states you can open it to an imaginary address. Although I have no idea how legal or illegal that is, so you might want to check that first before doing something illicit. I won’t write any stupid disclaimer here, you’re a big boy/girl. If you don’t want to wait for your code take a vendor who scans the codes and mails it to you – worked pretty well for me, I had the code in less than 15 minutes. Next step is, after changing the country by accepting the terms and condition of the US, to enter your coupon code next to “REDEEM COUPON CODE” or similar and select “none” under the payment methods. That’s it, you should be able to have access to all the sweet iPad apps available now! Have fun and keep this trick in mind for future Apple products.